Tiger Pack branched out as a separate entity in 2002 from its main branch in Egypt, offering a solution to all packaging needs of the growing market in Middle East. Tiger Pack has created working relationships with some of the other well-respected machine manufacturers in the packaging industry. The result is the ability of our customer to customize a complete packaging system from unscrambling straight through to palletizing the finished product! Whether a small start-up company or a Fortune 500 packaging giant, Tiger Pack is ready to work with you to create a packaging system specific to your individual needs. We maintain the highest commitment to customer satisfaction through extraordinary quality and workmanship. It is imperative that our staff complies with our established standard operating procedures on Quality and Safety policies and this is observed and implemented at every level during the production. Our relationship with our customer does not stop upon delivery of the finished product. Tiger Pack takes pride in creating an ongoing relationship with our customers. We understand that while packaging your product is an integral part of your business, it is not a static process. Whether starting a new project, changing to a new design or simply having difficulty getting maximum production out of your packaging machinery, the experts at Tiger Pack will always be available to grow with your company, answer your questions, or troubleshoot your new issues. Whether you are a new company or a legend in your industry, we invite you to experience the quality, competitive cost and customer service of Tiger Pack. With our creativity and innovation we aim to become the leading distributor of packaging products in UAE and GCC countries. We believe in courage to lead from front and shape the future. With honesty, open conversation and great customer service, we will provide a unique and revolutionary solutions by supplying higher quality products to our customers. To provide the best and high quality packaging products along with world class service and to achieve excellence each passing day. The company has a showroom and distribution centre in Sharjah backed by an excellent network of experienced sales and marketing staff and an after sales service centre. 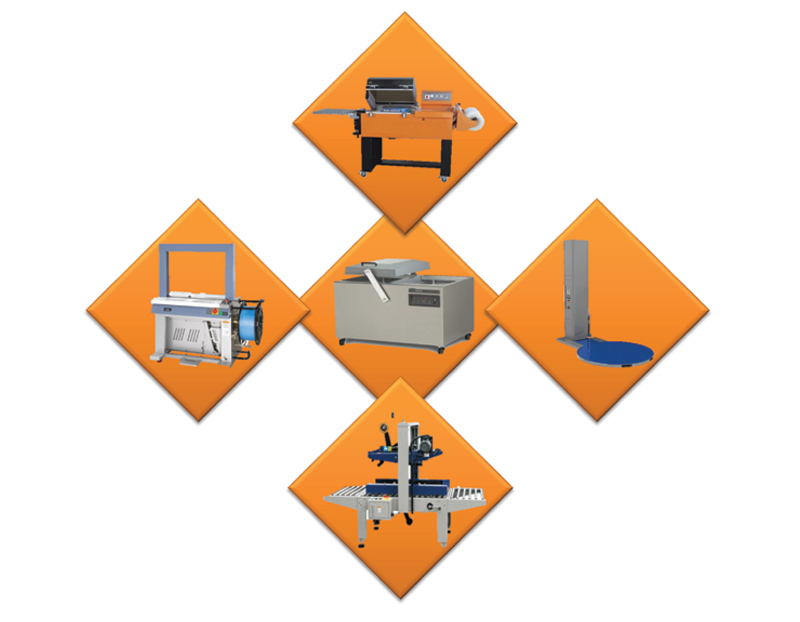 The company provides experienced technical support to select the suitable machine for your product. Quality spare parts are available in the company stores. The company also supplies materials for packaging used in the machines. This range of products include shrink wrapping systems, sleeve wrapping systems, vacuum sealing systems, filling and sealing systems along with flow-wrapping systems, taping and labeling systems with their accessories.